To contact us simply complete our enquiry form. 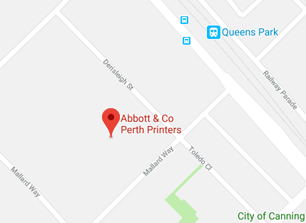 A customer representative from Abbott & Co Printers will be in contact as soon as possible. Alternatively, you may like to contact us directly via the methods below.